We miss being in Togo. We’re glad to be Stateside for a while, but it’s so cold. Can it please get warmer? We’re happy to be headed to Florida for the month of March. Our partner Christy Sopcisak has kept us updated on how the Christian schools are doing. We’re thankful for her endless energy and enthusiasm for the school ministry. This past Sunday we learned that the Kindergarten teacher at La Lumière was baptized. The church does not have a baptism pool so they use a little water hole about half a mile from the church. 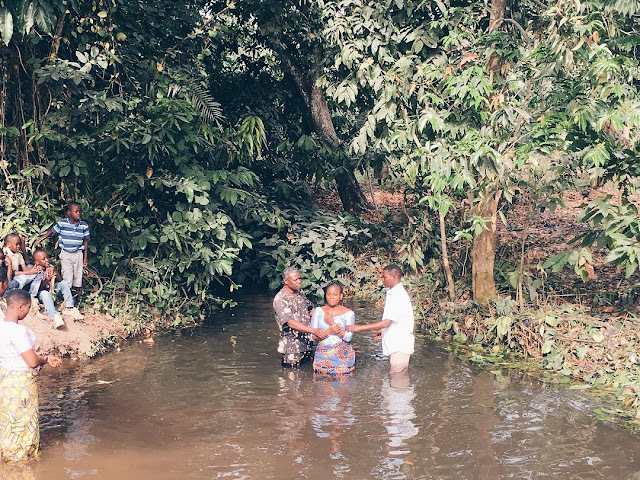 The church walked together to the site, there were 5 women baptized, including Victoire.